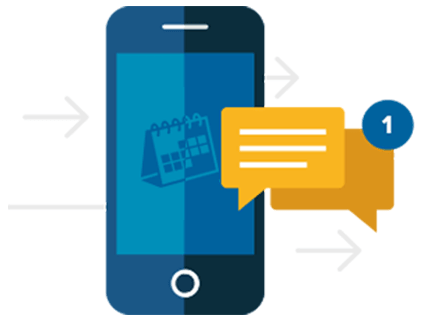 You lose nearly 15% of your appointments by not using our Automated Reminders. Want to learn more about PhollowUp? watch these other videos! You'll be inside Phollowup in just 15 seconds! ​We built the easiest Appointment System on the market. Try it and you’ll agree! PhollowUp does more than your paper calendar or your outdated computer system: with built-in invoicing, online reservations and more, we strive to be the only tool your company ever needs to grow and manage it’s day-to-day operations successfully. Support us by using our powerful Automated Messages by SMS or Email! Access your schedule and client data in a very intuitive, easy-to-use display on any device- from your Front Desk computer to your employees’ smartphones. Your customers can see your real-time availabilities and they can book their appointment themselves by using your reservation link. Share it on your Website and Social Media profiles. By creating any appointment, you choose the service your client will be receiving. We’re saving you (a lot of) time by pre-creating a standard invoice based on that service. Each of your clients is unique. Reflect it in your service by keeping notes about what they usually ask for. It’s confidentially stored in the Cloud (we’ll never share or sell your data). 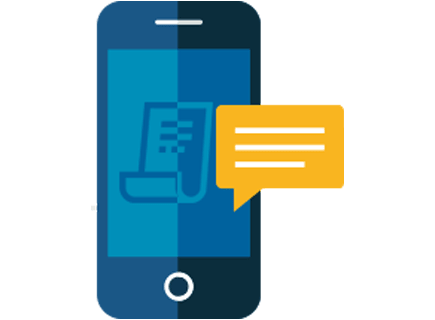 More regular customers, less hassle– meet our Automated Messages! PhollowUp is more than an appointment system: with our Automated Reminders, you can send fully automated reminders by SMS or Email. 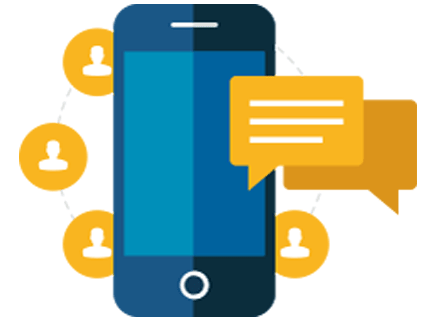 All messages can be personalized for each of your customers. Here’s a quick description of our most popular ones. You can enable the ones you like and disable the ones you’re not interested to use. The appointment card, modernized. Sent to your customer right when their appointment is scheduled (or when you accept it, if self-booked online). It keeps a trace on their phone, reduces the “when is my appointment again?” calls, and makes them less likely to forget. Scheduling an appointment is the first step. Making sure it happens is just as important. A reminder sent to the customer 24h before their appointment: the optimal timeframe to reduce forgotten appointments by half. The average company has around 15% no-shows; even a minimal reduction will yield great monetary returns. This message is automatically sent once an appointment is marked as “Paid”. Three popular usages: sending the invoice (no paper– save the planet!) and/or giving them informations about when to book their next visit. You could also offer a promotion if they come back or refer friends! Follow-Up): an automated message, scheduled in the future, to remind your customers it’s time to book their next appointment. Includes the link to your calendar where they can select their own slot without calling you! It ensures all of your customers keep coming back. We’ve all been there: “what was it I was supposed to do today- OH S#!*“. While the Confirmation and Reminder messages will reduce them (read above), no-shows will still happen in lower numbers. Let your customers know they missed their appointment, and give them a link to book again themselves when they’re free. It’s not just about reminders- show your customers that you care by sending them a birthday message. You can send it on the same day or a few days before. You can give value to them by offering a promotion, or simply thank them for their long-time fidelity. Marketing campaigns are a great way to let your customers know about a new service you’re offering, or anything new happening inside your business. You could also use them to sustain you in slower months. This feature allows you to message all your customers at once. We recommend sending no more than 3 or 4 each year. OUR AUTOMATED MESSAGES WILL HELP YOU GROW YOUR BUSINESS.